Beneath all wounds lies self acceptance. Beneath all material & spiritual glamour lies honesty. Beneath all illness lies a pearl in how to love oneself more. Becoming a conscious co-creator of your relationships brings growth. Being the director of your own movie brings conscious Creation. Being Present with all of this brings Self mastery. Beneath the world of appearances is a Love that propels it's Self in Co-Creation with you and through you. You are connected to Source through the Light and Sound of your Breath, for the Breath that you breathe, Breathes you. The gift I bring to you is an experiential Awakening of your own inherent extrasensory abilities and how to use them to re-Create any area of your life, consciously. Through multi-universal, telepathic energy & sound frequencies, the space is cleared for you to Awaken to a more expanded experience of who and what you are. As you clear the energy blocks and core patterns that limit you from moving forward, an inner birthing begins to bring you to an experiential awareness of Self love, as a state of BEing. Open up to Experience your-Self as a multi-dimensional Divine Human, the next stage of human evolution. All experience is for the purpose of expansion, growth, and marvelous Awakening to your true nature. Tap into your Essence and your journey becomes an exciting treasure chest of possibility and new beginnings. Rekindle the art of gentleness and kindness to yourself, first, to embody that quiet Strength and Grace that is waiting to Embrace you from within. for your personal meditation . . .
Everyone has an original DNA design, or blueprint. I can compose an audio portrait of your original design - a compositional 'Self Portrait' with orchestration and my voice (used as an instrument), to weave threads into the texture of your soul's blueprint, or to clear outmoded energies that no longer serve you. What I use to create a musical composite is determined in a personal consulting session. Then I go to the composition. Using synthesizer as the grounding frequencies, I vocally scan and travel your body at the same time that I 'think-higher octaves, or frequencies of sound.' This simultaneous flow of creation enables new information to download and flow to you as part of the composition. The new inter-dimensional information, or frequencies of light and sound, travel like light-threads into your energy field. This work supports you to grow and expand your consciousness. If you change your perception, you can change your reality . . .
of Who you are . . .
Like a flute, you are a Creator, fine-tuning your whole instrument using light and sound frequencies through your breath, your voice, and the temple of your physical body. The energy field that surrounds and penetrates the cellular structure and systems of your physical body, carries the energy patterns for any mental, emotional, spiritual or physical condition. Each stress point is a signal for your attention. The awareness that emerges from exploring how to wield an energy, or core pattern, places the point of power - to evolve - into your hands. When you make a pivotal decision to respond to life's circumstances from a new perspective, you open to, and experience the inherent extrasensory gifts that have been waiting to be received by you from birth. With the lifting of the veils comes more expanded ways of perceiving what your life's journey is about. Then any word or action that you offer can be consciously used for the highest good of yourself, and those a part of your life's canvas. Advanced Energy Transmissions of light and sound helps to restore your body and soul blueprint back to its original state of wholeness. It is then that you can experience BEing ONE with all of life. TO BECOME A CONSCIOUS CREATOR . . . Learn, in session, how to Scan and read your own energy field. Then experience how to use The Gentle Breath & Vocal Toning to Unwind blocked energy, along with how to infuse the spaces with renewed energy, once the energy pattern has been removed. To 'experience' a release, is to Know an inner state of deep peace, gratitude and rejuvenation. Knowing 'Inner Joy' brings the awareness that it is possible to create this experience more often in our lives. Music is a universal language that can penetrate through cultural differences. Music helps the subconscious to release unexpressed emotions. The vibrating multi-dimensional frequencies of sound, itself, can penetrate and transform dissonant self expression into a harmonious hum that can bring powerful transformation to the world and the human spirit. Use rhythm & melodic instruments to explore elements of communication. Using these instruments, learn to reflect, question & answer, mirror, support, confront, lead & follow each other through improvisational playing. Learn how to ground, 'hold,' and guide group energy. 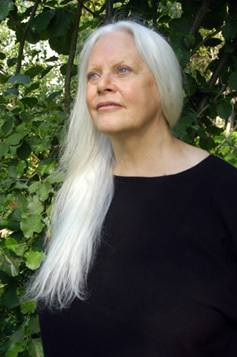 Vocal expression is explored through singing and toning. Explore how to express your feelings through words and melodic structure. Have the experience of playing and making music in the spirit of fun. Experience safety in being "heard and seen" by others in a non-critical, nurturing space. 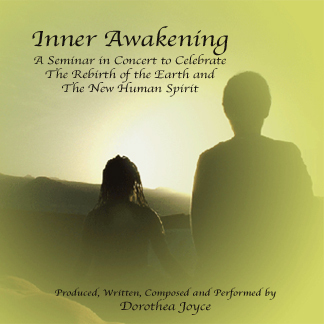 Experience clearing and entraining group energy through group vocal toning. Experience how 'Toning' transforms group energy into a harmonious state of unity consciousness. How do different frequencies of sound affect you? 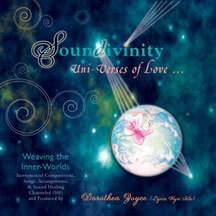 Experience multidimensional levels of sound frequencies that activate expanded states of Self awareness.